I saw this earlier this week and understood exactly how this person felt! 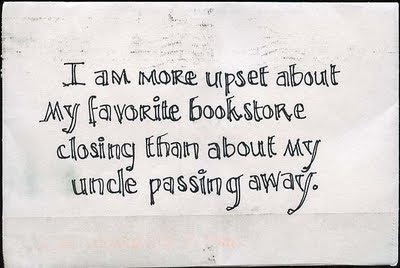 I feel like the people who worked at my favorite bookstore (Borders) were like family, that's how much I was in there. I totally agree. I can't help myself, I keep going into Borders, and it hurts more every time.